Peter Schreyer is as shocked by Lexus' grilles as the rest of us. The man responsible for South Korea's emergence as a design powerhouse has some opinions on grilles—both those he's designed and of Korea's competitors. We sat down with Peter Schreyer, design chief for Hyundai Motor Group and the visionary behind Kia's meteoric rise as one of the globe's leading design-centric automakers. Surprisingly, he shares some of our collective concerns regarding the massive grilles we've seen enter the automotive market as of late. 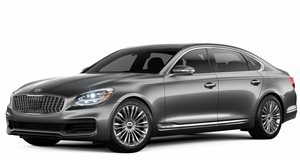 During the global debut of the 2019 Kia K900, Schreyer told Cartownhack in an interview that Kia's tiger nose is here to stay. He also compared it to a similar design element used by a premium German marque. 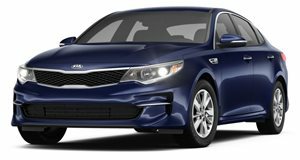 “I think [the tiger nose grille] should be the kidney grilles,” Schreyer said of Kia's signature fascia element. “Even if BMW is kind of watering them down at the moment [...] I am very happy and I think it is very good for Kia that we have [the tiger nose].” Much of Schreyer's happiness with the tiger nose grille comes from the design's flexibility, which he believes will give it infinite staying power. So far, Kia has resisted the urge to grow its grilles as large as those from other brands. Much of that comes from Schreyer's belief of what larger grilles mean for a brand. When asked if Kia would make larger grilles to appease the Chinese market, he explained his position. “When we talked to our Chinese marketing people, they always wanted [the grilles] bigger and wider and higher and more chrome than ever. But if you look at some of the successful cars in China, they do not have as big grilles. “I think it’s a stereotype that we all think they want and they need bigger grilles—that some cars that have them are successful—but I don’t know if this is going to stay forever,” said Schreyer. ”I think it also has to do with the power of a brand. If a brand is very strong like, for example, BMW, they don’t need make an even bigger BMW kidney grille with chrome bars on the inside. 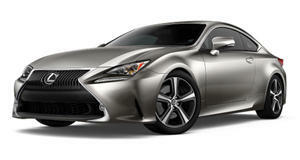 They don’t do it.” Does that mean Schreyer thinks Lexus—the —is a weak brand? “No, this is another thing. I think Lexus is a strong brand,” he stated.